That said, if romance isn’t your jam, check out the Lika Love x Intentionalist Galentine’s Party on February 13th from 5-8 PM. 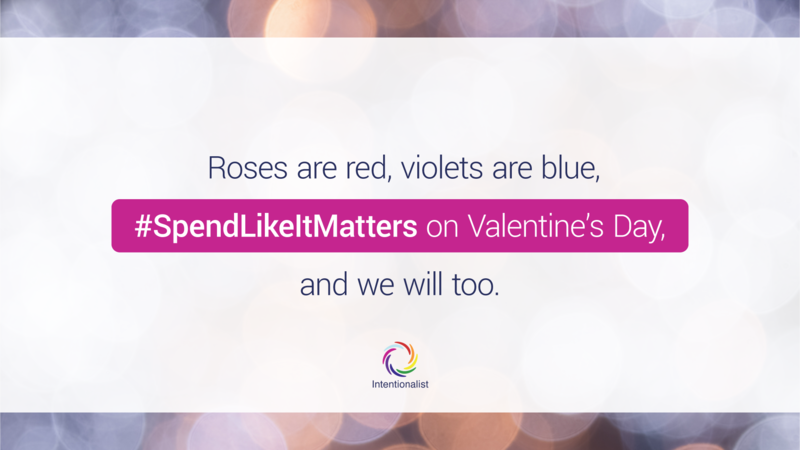 For those who have succumbed to Valentine’s Day consumerism, no judgement 😉we just urge you #SpendLikeItMatters! Valentine’s Day reservations are going fast! Taking cliché all the way! Intentionalist is your local guide to small businesses and the diverse people behind them. We believe that where you spend your money matters, and we’re sure glad you do too. Whether you identify as a localist, activist, or just a good neighbor, we make it easy for you to learn about and support local businesses and the diverse people who own and operate them. To learn more about Intentionalist please visit our website and be sure that you’re following us on social media (Instagram, Facebook, Twitter). Thanks for all that you do to #BeIntentional and #SpendLikeItMatters!